The Median Price per Square Foot was $152.19 in Peoria last quarter, up 5.6% YoY compared with $144.36 in Q1 2018, and up 35.7% since Q1 2014. It’s also nice to see consistent, steady increases rather than large jumps upward - which are often not sustainable. 2017 was the only year with double-digit appreciation; all other years show a modest increase over the previous year. 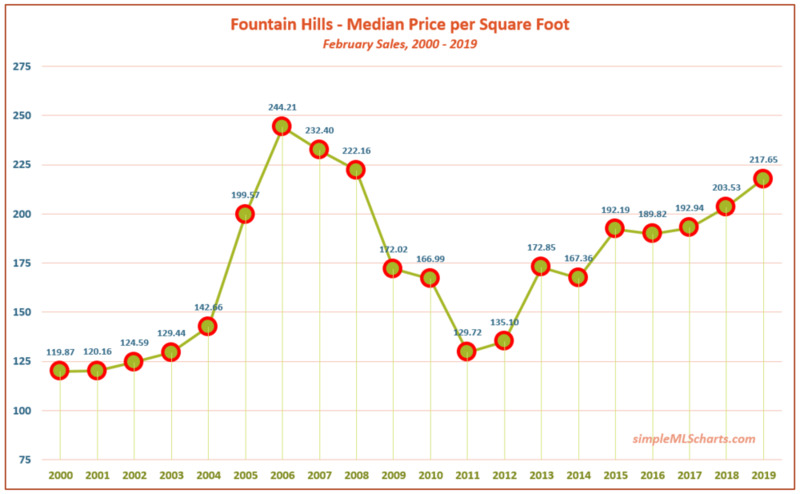 The Median Price per Square Foot was up 7% YoY in Fountain Hills in February, reaching $217.65/sqft. This is only 11% off the all-time February peak of $244.21 in Feb 2006. Keep in mind that Fountain Hills doesn’t have a lot of monthly sales volume, which means there will be more variance from month to month. That being said, we aren’t too far away from seeing record high pricing in Fountain Hills if prices continue to trend upward. 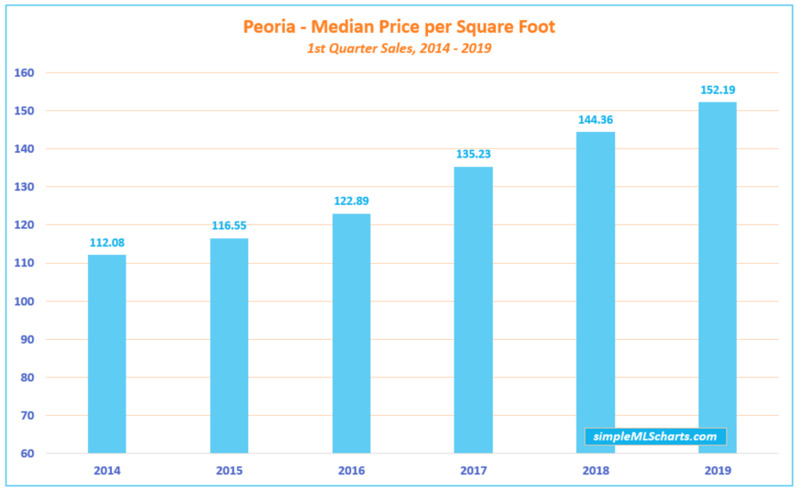 The Median Price per Square Foot reached $153.97 in Peoria last month, a 6% increase YoY from last February. Your humble chart marker is looking at the past results and not forecasting future performance, so I’ll simply point them both out.